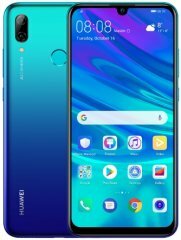 This 2019 edition of Huawei's P smart is a middle-class smartphone whose cons are headlined by a 3GB-only RAM count that sounds sheepish compared to the 4GB and even 6GB RAM counts boasted by some competing eight-core smartphones. While on the topic of its hardware specs, the Huawei P smart 2019 banks on a tolerable 12nm Hisilicon Kirin 710 eight-core engine clocked at 2.2GHz. Adding to the unsavory bits of the P smart 2019's pros and cons is the fact that its international version touts a fixed-focus 8-megapixel front-facing camera only , although a couple of variants, particularly the POT-LX1RUA and POT-LX3 models, tout high-resolution 16-megapixel selfie shooters. Its lack of NFC comes off as an off-putting drawback to us as well. 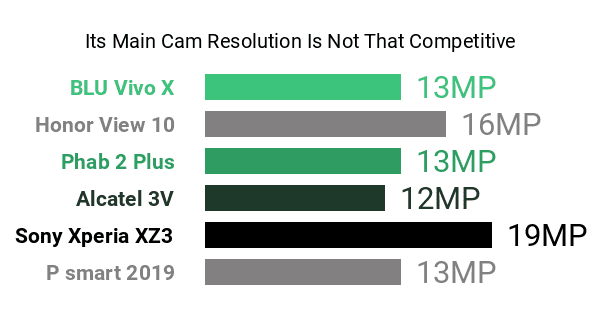 As for its main camera, while the 13- and 2-megapixel lenses of its dual camera setup do not impress us resolution-wise , it nevertheless mimics many high-class camera phones with things like AI scene recognition and hardware level bokeh in its arsenal. This P smart edition's pros are headlined by a wide 6.21-inch 2340 x 1080 FHD+ display whose 19.5:9 aspect ratio was among the widest screen solutions as of this technical Phonerated review. It also features what Huawei calls a dewdrop notch design, which is significantly tinier than most other smartphone notches, leaving room for more pixels. Also part of this mid-ender's pros and cons is a 64GB expandable memory and a so-so 3400mAh battery pack. It comes with a curved unibody plastered with a glossy ceramic texture , with its color options being Sapphire Blue, Aurora Blue, and Midnight Black. Over on the security front, the P smart 2019 combines both fingerprint and facial user authentication, while the Android 9.0 Pie, which comes pre-integrated with an AI Smart Shopping feature that lets users scan products and search for them across various eCommerce platforms, greets users up front. All-in-all, the P smart 2019 is an Android whose expansive display is bedecked with what Huawei calls midmarket features, making it a viable choice for young, budget-cautious shoppers.